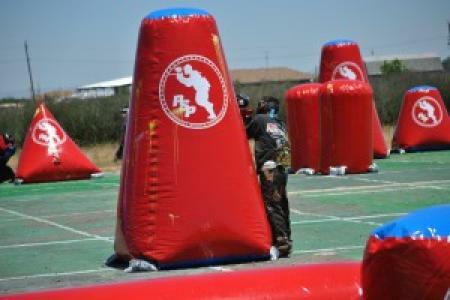 Extreme Paintball Park is a professionally run paintball facility with 5+ playing fields. They offer a wide variety of rental packages if you do not own your own equipment. Find waivers, invitations, and reservation information on their website. Children 8 years an older can now have birthday parties, using the JT Splatmaster equipment. Children 10 and up can use the regular .68 caliber paintball equipment for their parties or during regular play. Saturday-Sunday 9am-4pm Rain or Shine! We had my son's 11th birthday party at paintball in the rain. Great party packages for a reasonable price. Rain, mud, and shooting paintballs at people. What more could 11 year old boys ask for? They must be 10 or older to play. He has already asked for a repeat party next year.